Thomas A. Hicks Electric, Inc.
Jade Heating & Air, Inc. Comment: NEST thermostat install to Carrier HVAC. Comment: I need to replace my gas furnace and a/c unit. The furnace is about 12 years old (and working okay), but the a/c has been fixed and rebuilt several times. It's the original unit from over 30 years ago. Comment: Looking to replace existing thermostat with wifi enabled thermostat so I can adjust temperature settings remotely. I have a new wifi thermostat in hand. Existing thermostat is a 4-wire setup, however the C-wire is available at both the thermostat and the furnace for the 24V connection. 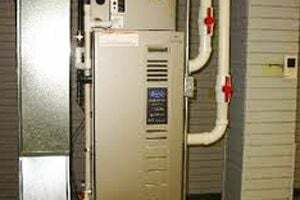 Comment: Replace existing furnace, heat pump and condensors. Comment: We just bought our house and noticed that the clothes dryer's vent leads to the garage (which is right on the other side of the wall that the dryer is against). So when we run our dryer, all of that warm, moist air is being dumped into our garage which is creating a damp environment that could lead to mold. We would like new duct work that will place the vent on the exterior of the house. Comment: I have not had heat all weekend, but when I go in the attic it is warm up there where the unit is. I have off on Wednesday and would like someone to take a look at it! Roswell Heating & Furnace Contractors are rated 4.77 out of 5 based on 2,472 reviews of 38 pros. Not Looking for Heating & Furnace Systems Contractors in Roswell, GA?